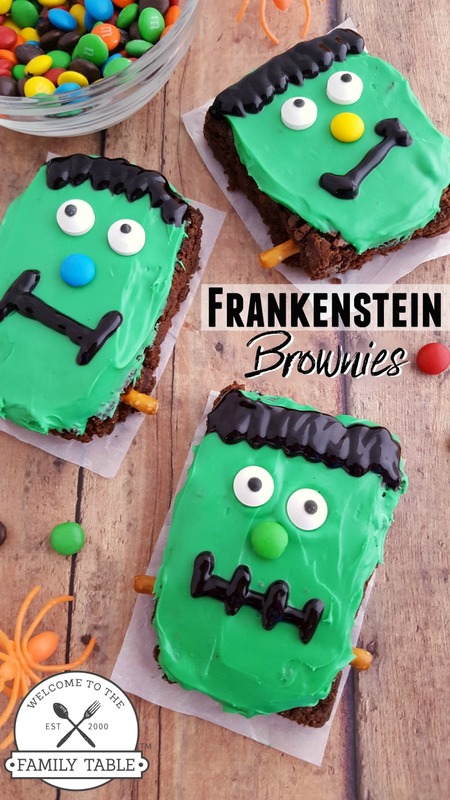 These Frankenstein brownies are a fun and festive way to celebrate Halloween or make for your next monster-themed party. We are always looking for fun things to make in the kitchen and these Frankenstein brownies fit the bill. 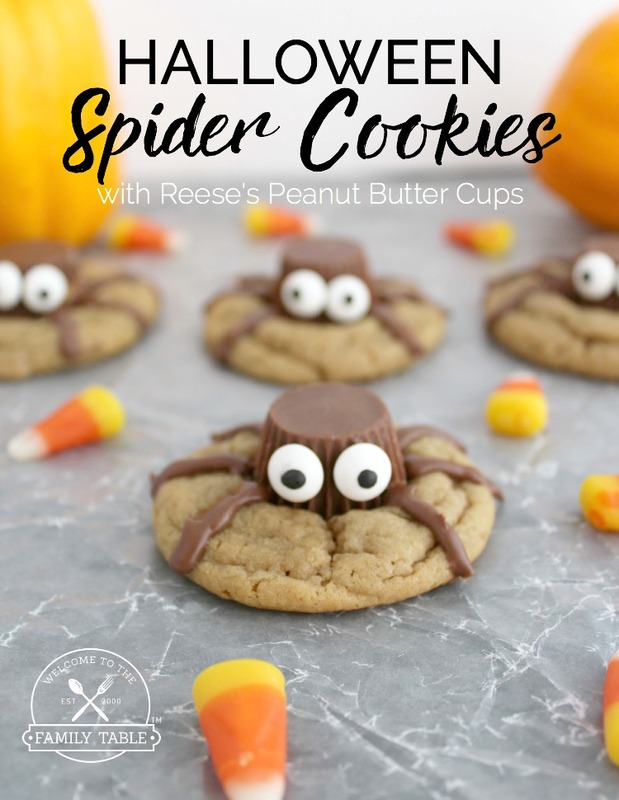 We hope you enjoy creating and eating these fun treats! Prepare brownie mix according to box directions. Cool completely once baking has finished. Mix green food coloring into white frosting until desired shade is reached. Spread a thin and even layer of the green frosting onto the brownies. Cut and carefully remove brownies from dish and place on a flat surface covered with parchment paper. Using the black gel decorating icing, add thin lines across the top of each brownie for hair. Next, draw a straight line (can be slanted and/or drawn with several lines across it) for the mouth. Add two eyes onto each brownie. Add a mini M&M for the nose. Break a small pretzel stick in half and insert a half into each side of the bottom portion of the brownie (just beneath the mouth). These are really cute! Can’t wait to try these with my girls.